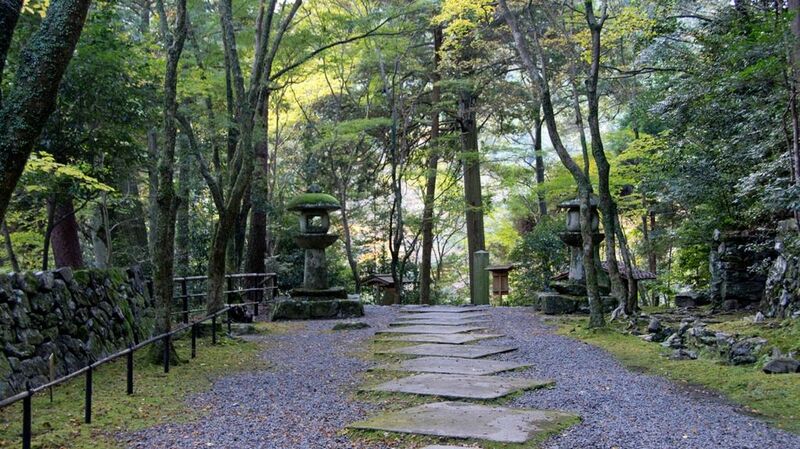 Kozan-ji Temple is located in Takao mountainous area, Kyoto. Takao area becomes very popular for a day hike and the autumn color season. Kozan-ji is an ancient temple, dates back to 774. It is recognized as a World Heritage site. The temple was restored in the 12th century by the high priest Myoe. Among the treasures housed here is the Choju-Jinbutsu-giga, a set of four picture scrolls (a scroll depicting animals in a satire of the court life of the Heian Period) dating from around the 10th and 11th centuries, which is considered Japan’s first manga, This set of picture scrolls is designated as a National Treasure. The original is currently stored in Tokyo National Museum. On exhibit at Sekisui-in are precise replicas of the original. In another first, Kozanji claims to be the original site of tea cultivation in Japan. The oldest tea field in Japan, which is believed to have been first planted by priest Myoe. The original tea field has recently been restored for visitors to see. Access : Take the Kyoto city bus No.8 from either Shijo or Karasuma station to Kajino or the Takao bus stop.